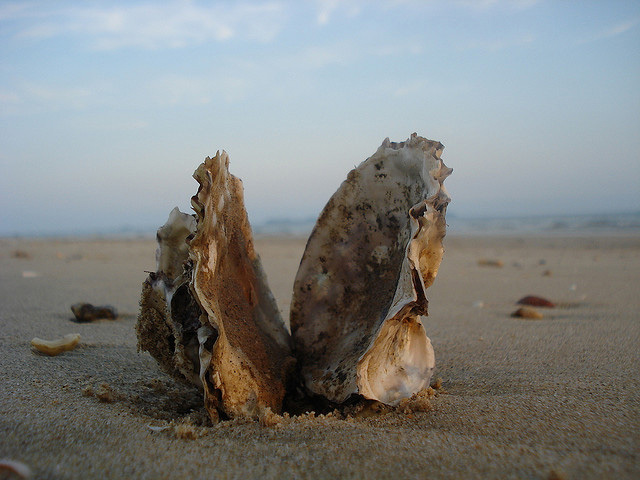 Oyster shell; photo by IvanWalsh.com on Flickr (use permitted with attribution). 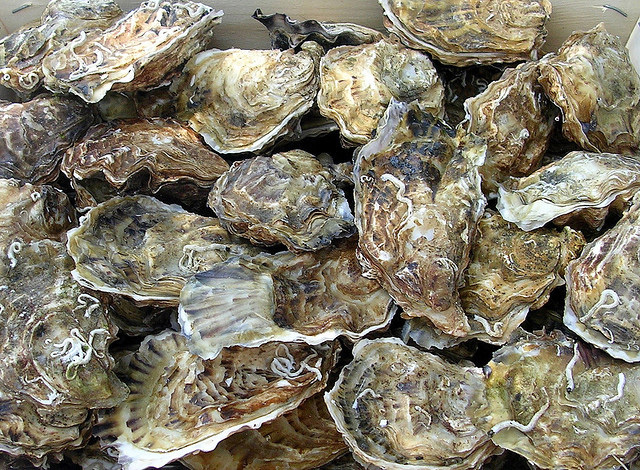 Fresh, unopened oyster shells; photo by Astacus on Flickr (noncommercial use permitted with attribution / share alike). 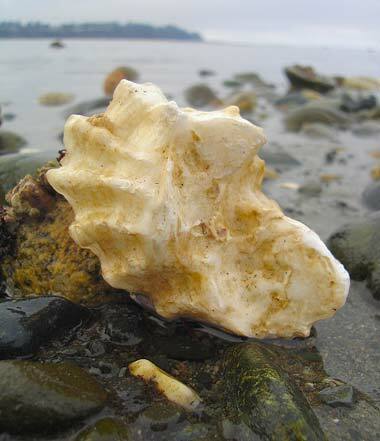 Oyster shell photo © VanIsle on Flickr; noncommercial use permitted with attribution / no derivative works.